Finalists vying to be Nebraska's next dean of university libraries are (from left) Claire Stewart, Bryn Geffert, Rebecca Bichel and Adriene Lim. Four candidates will visit campus for the University Libraries dean position between April 16-30. The finalists, who were selected through a national search, will interview and give public presentations at Love Library South. Each presentation is at 3:30 p.m.
April 17 — Claire Stewart, associate university librarian for Research and Learning, University of Minnesota (Minneapolis), presents in 102 Love Library South, Auditorium. April 23 — Bryn Geffert, librarian of the College, Amherst College (Amherst, Massachusetts), presents in 102 Love Library South, Auditorium. 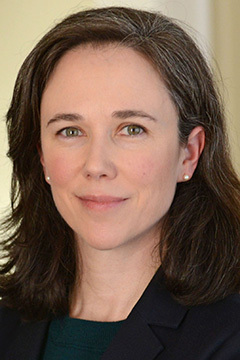 April 25 — Rebecca Bichel, dean of Libraries, University of Texas at Arlington (Arlington, Texas), presents in 102 Love Library South, Auditorium. 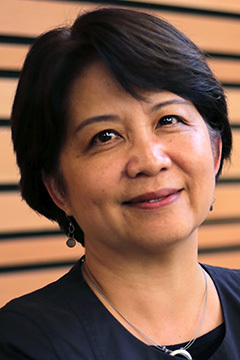 April 29 — Adriene Lim, dean of Libraries and Philip H. Knight chair, University of Oregon, (Eugene, Oregon), presents in 221 Love Library South, Peterson Room. Additional candidate information, including curricula vitae, is available on the University Libraries dean search website. The University Libraries is a national leader in creativity and knowledge development. It creates and promotes resources and tools for transformative teaching, learning and research, and it develops spaces and technology that inspire life-long learning. The dean of Libraries will continue the transformation of the Libraries’ physical and virtual spaces, lead major content initiatives, and position the Libraries’ faculty and staff at the center of teaching and research for Nebraska. The dean of Libraries collaborates with faculty, students, staff and external constituents on campus and in the state of Nebraska, across the nation and around the world. Stewart is the associate university librarian for research and learning at the University of Minnesota Libraries. Her portfolio includes the education and research support programs of the libraries and operational services within 10 library facilities. Research and learning includes six departments and works closely with health sciences to provide a strong, coherent portfolio of services to the entire university. She leads staff who provide general and specialized information services, including discipline liaisons, curators, archivists and functional specialists responsible for programmatic engagement in research, teaching and learning on campus. 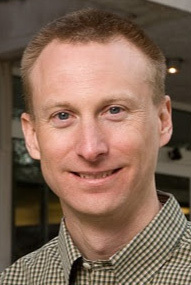 Prior to Minnesota, Stewart held several positions at Northwestern University over a 21-year period, including director of the Center for Scholarly Communication and Digital Curation and head of digital collections. She served as copyright specialist at Northwestern and was a campus lead for repository services, e-science, digital humanities, digital media services and digital preservation. Her scholarly interests include information policy and curation structures. Stewart holds a Bachelor of Arts in English literature with a minor in humanistic studies from Saint Mary's College and a Master of Library and Information Science from Dominican University. Geffert is the librarian of the College at Amherst College. Under his leadership, the library won the Association of College and Research Library’s Excellence in Academic Libraries Award. His achievements include the establishment of Amherst College Press and Lever Press, the latter in partnership with University of Michigan and supported by 56 institutions. He also coordinates the work of Amherst’s libraries with those of the Five Colleges Consortium. These ventures reflect his commitment to equitable and universal access to scholarship and the creation of new, open-access models to achieve that goal. Before Amherst, Geffert served as library director and an associate professor of history at the United States Military Academy. He also spent 16 years at St. Olaf College, first as a reference librarian and then as library director and associate professor of Russian studies. Bryn’s research and recent books focus on Russian social and intellectual history. He earned a Master of Library and Information Science from the University of Illinois. His Master of Arts in Russian history and doctorate in modern European history are from the University of Minnesota. Bichel is the dean of Libraries at the University of Texas at Arlington and works with a team to implement on-demand collection policies, redesign services and spaces, develop programming for one of the most diverse campuses in the country, create scholarly communication services for faculty, and implement an ambitious makerspace, data cave, and co-working space for student success. Prior to Texas, she was the associate dean for public services at Florida State University Libraries. She has also been a librarian at Pennsylvania State University and Sam Houston State University. Bichel has a passion for creating transformative learning and growth experiences for students and colleagues. Her research interests are leadership and culture change in libraries, risk-taking in libraries, and the opportunities of library space redesign. She earned a Bachelor of Arts in economics and a Bachelor of Business Administration from Valdosta State University. Her Master of Library and Information Science is from the University of Hawaii at Manoa. Lim is the dean of libraries and Philip H. Knight chair at the University of Oregon, where she provides administrative leadership and vision for a large library system consisting of seven libraries with 180 staff and library faculty and 300 student assistants. Before that, Lim was dean of libraries at Oakland University in Michigan, and served in a variety of leadership roles at Portland State University, Wayne State University and the Detroit Area Library Network. 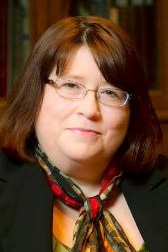 She has published numerous articles and book chapters; given presentations about managerial leadership, technology, diversity, and other topics at the international, national and state levels; has been active in numerous library associations; and was honored with the Loleta D. Fyan Award for creative library service from the Michigan Library Association. A first-generation college student, she holds a Bachelor of Fine Arts and Master of Library and Information Science from Wayne State University. Her doctorate in library and information science with a specialization in managerial leadership is from Simmons University in Boston.